A million people have a million greedy aspirations, a million lies! Lam Ping’s (Kate Tsui Tsz San) boyfriend, Tsui Fung (Sammul Chan Kin Fung), goes missing for a year. 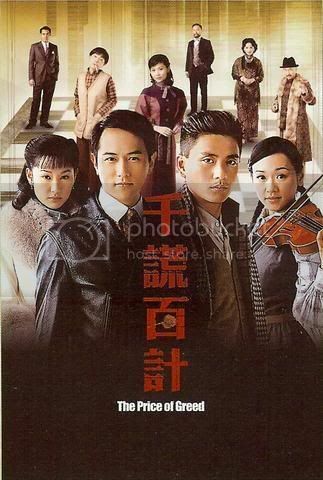 Policeman Lui To (Bosco Wong Chung Chak) discovers that Fung actually has died already and it was Ping herself who collected his remains. Not long afterwards, Fung suddenly appears, making the matter even more mysterious! Furthermore, the feelings between Ping and Fung are sealed. hmm… will you be reviewing this series? I’ve watched a few episodes airing on TVBJ, and I must say it is very annoying. I can’t stand the characters, in particularly Shirley, and Bosco’s haircut here really doesn’t suit him. Storyline wise- so far not too exciting. Overall I was kinda annoyed by Shirley’s character. >. I HATE KATE TSUI’S CHARACTER SHE WAS SO ANNOYING!!!!!!!!!!!!!!!!!!!!!!!!!!!!!!!!!!!!!!!!!!!!!!!!!!!!!!!!!!!!!!!!!!! !